The GX800 range at the Panasonic Convention. For starters, the 65, 58, 50 and 40-inch GX800 sets all look lovely. The black frame surrounding the screen is narrow, eye-catchingly trim around the rear, and carries an opulent looking, high-gloss “piano black” finish. Even better, an inner section of the bezel protrudes forward a millimetre or so, creating the illusion that the picture is being produced by some OLED-like image wafer. 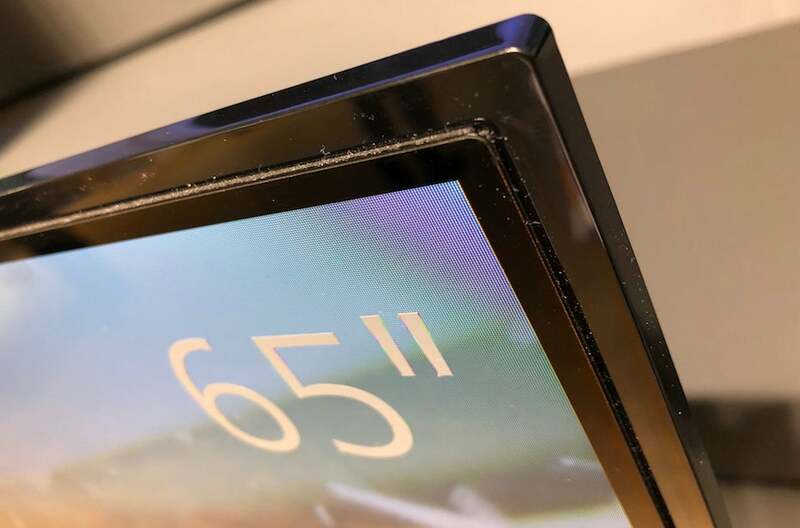 The centrally mounted metal plate on which the TV sits feels well built, too, and carries an attractive slate-like finish. The GX800s deliver a major step up on the more affordable GX700 models in terms of features. For instance, they include the HCX Processor that Panasonic introduced in 2018. This is also the point at which support for both Dolby Vision and HDR10+ features. The GX700, by comparison, only supports HDR10+. It isn’t just in the picture department that the GX800s score over the GX700s, however. 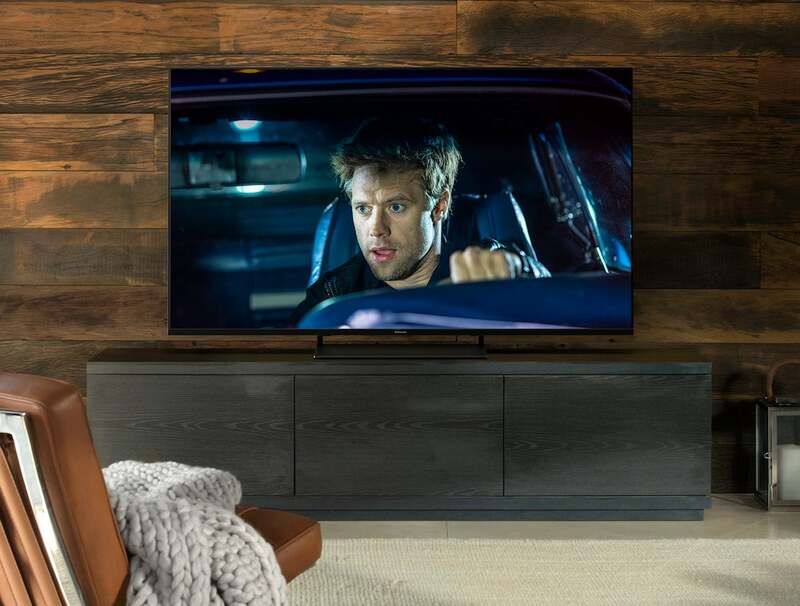 They also support Dolby Atmos sound, as well as better smarts courtesy of support for Google Assistant and Amazon Alexa (via external devices). However, what most caught my eye about the GX800s was their picture quality. 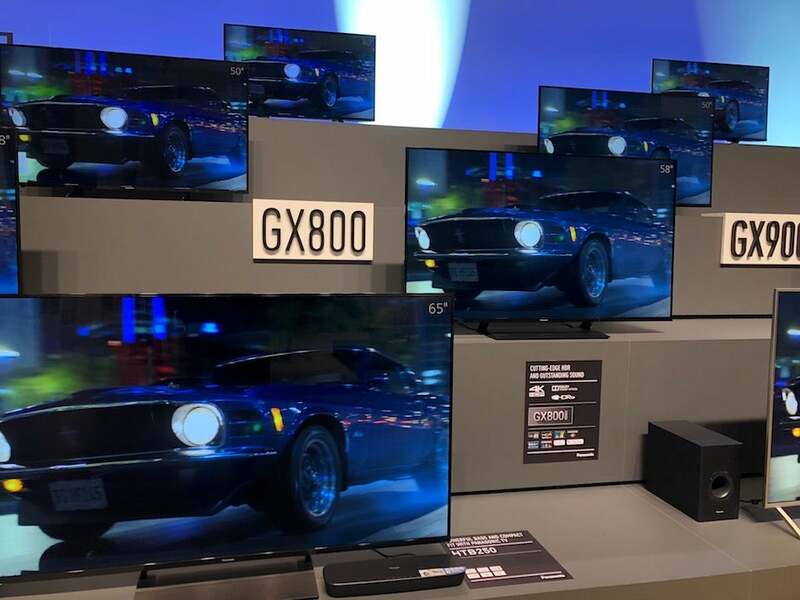 For starters, they seemed to deliver a super-impressive contrast range for TVs which, I suspect, will be pretty affordable once pricing is announced in the coming weeks. This is partly down to the fact that all the screens in the GX800 range apparently use VA rather than relatively low-contrast IPS panels. There is a downside to this, of course, by way of relatively limited effective viewing angles. Personally, though, I’d take the extra contrast any day on an affordable LCD TV. The GX800 models’ colours appeared clean, natural and rich too – as often happens when there are decent black levels to work with. More surprising is how vibrant and dynamic the picture looked. This hints at more brightness than we’d usually see from mid-range Panasonic LED TVs. Something that is backed up by Panasonic’s mention of “HDR Bright Panel Plus” technology in its blurb for the GX800s, which I don’t recall seeing before in relation to Panasonic LCD TVs. The HCX Processor could also be contributing to the picture’s HDR impact, courtesy of improved light management and tone mapping. Talking of light management, the GX800s are edge rather than backlit, and only feature “full frame” dimming rather than local dimming. This configuration doesn’t normally give the best contrast. However, dark images on the GX800s certainly didn’t look grey or flat. The bright lights of the Panasonic Convention showroom inevitably limited the potential to accurately judge black level response. The GX800s’ dark scenes looked more convincing and potent than those of the GX700 and GX940/GX920 ranges sat either side of it. The GX800’s pictures looked crisp and detailed, with promising colour subtlety enhancing the sense of detail and three-dimensionality. What’s more, detail levels in the 4K pictures also seemed impressively unaffected by motion blur for such a potentially affordable LCD TV. It remains to be seen if TVs as svelte as the GX800s can make much of their Dolby Atmos capabilities. Sadly, there was no way of testing the sound at the Panasonic Convention. Even if this proves to be a weakness for the design-led TV, Panasonic was keen to show how well the GX800s look alongside one of the brand’s remarkably compact HTB250 soundbars. The GX800s are due to arrive in April – and rest assured, we’re already trying to get hold of one of these potential mid-range stars for a full review.